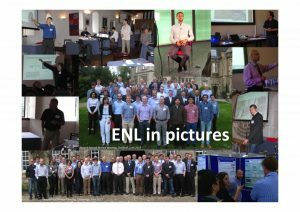 The Engineering Nonlinearity (ENL) EPSRC-sponsored Programme Grant has been cited as an excellent example of University Knowledge Transfer, in a case study conducted by the H2020 project Science2Society. The conclusions, as coordinated by Dr.Ing. David Storer, Strategic Research Coordinator at Centro Richerche Fiat SCpA and Steering Committee member for ENL are noted below. The full case study is accessible from the Science2Society website. “The mechanism for collaboration between Universities and Industry, developed and applied within the Engineering Non-Linearity project is of considerable interest in terms of enabling academic research (with TRL in the range 2-4) to be focused on issues of relevance to Industry and Society. In practice, all of the public funding (with the exception of the travel expenses to refund the Industry members of the Steering Committee for their participation at meetings) has been utilised to conduct the research at the five Universities in the consortium. Nevertheless, by participating in the Steering Group meetings and frequent workshops, which were organised, the Industrial partners, from a wide range of sectors, are able to guide the activities towards applications of direct relevance to their sector based on their expertise. In so doing, the academic research has been focused on societal issues without losing its high-level, high-quality academic nature. Importantly, all the salient results of the activities have been presented in a series of high-level journal articles and conference proceedings, according to the Open Science approach. Furthermore, the intention is to write a book to document all of the activities performed upon project completion. Science2Society is a major EU-funded project with the aim of improving innovation processes and their effectiveness in society, assessing the mechanisms through which universities, research organisations, society and industry collaborate to create value.